HIKE the Cinque Terre National Park beautiful paths, TASTE local wine and products. 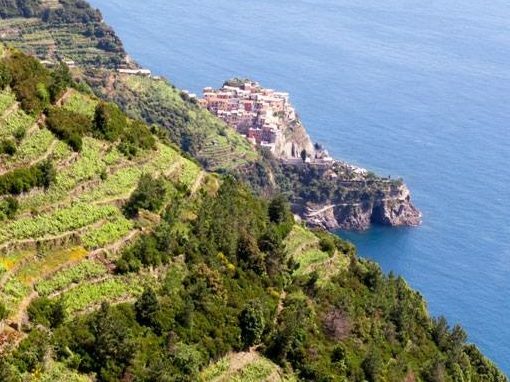 Cinque Terre Hike & Taste: hiking tours in the Cinque Terre to explore the National Park far from the crowd, walking its beautiful paths across the Mediterranean vegetation and the terraced vineyards with unforgettable views over the sea. Visit a local farm to discover the production of wine, olive oil and other products of this gorgeous but nonetheless difficult land. Wine tasting with nibbles. Price (min 8 max 15 people): 25 euro per person for qualified English speaking guide + 10 euro per person for wine tasting (to be paid direct).